This little wonder is the work of recently blogged Bangooh, who has just been flooding Flickr with some amazing work. 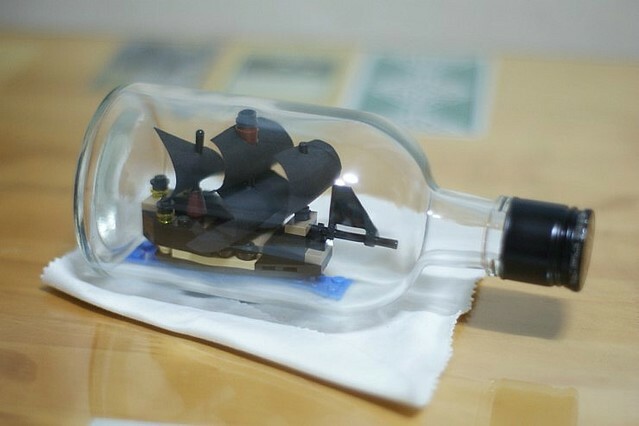 Being a Pirates of the Caribbean fan I really like this Black Pearl, but this builder also has another ship as well as a train in a bottle. Click through for more pics.